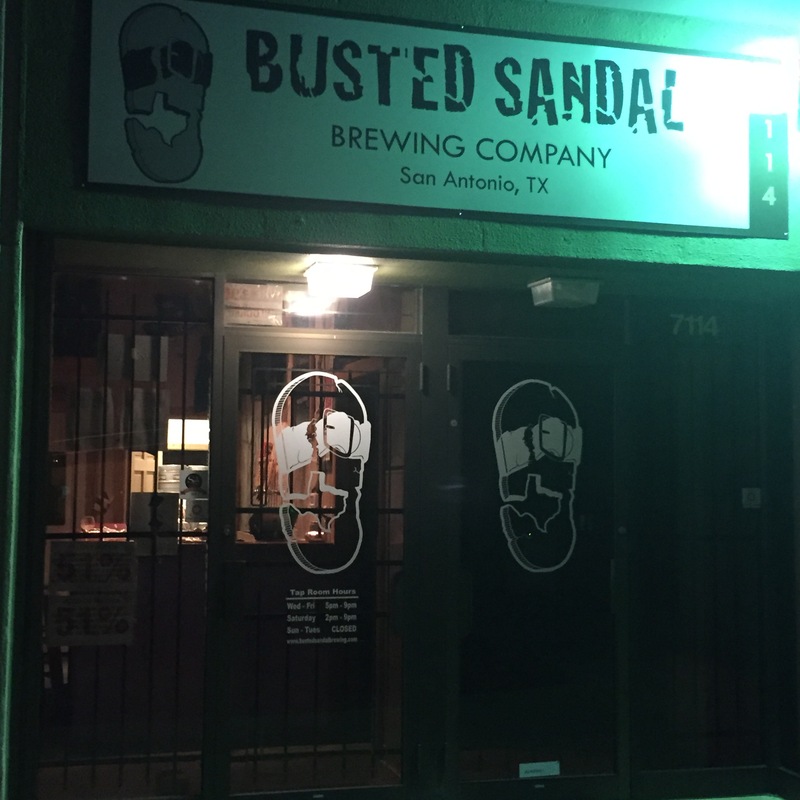 I stopped in at Busted Sandal Brewing Company in San Antonio, Texas. The thing is, they weren’t open to the public tonight. 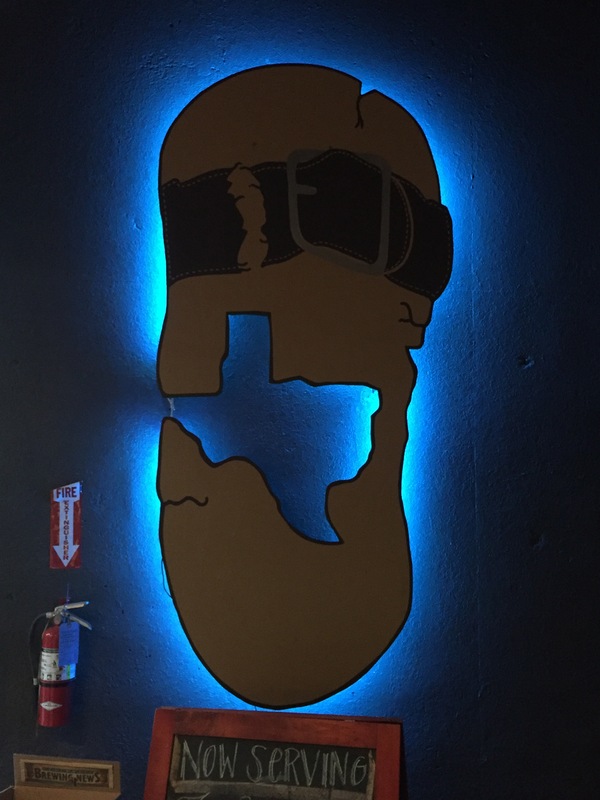 But, that didn’t stop the owner, Mike, from responding to my e-mail and meeting me at the brewery and giving me an entire tour and explanation of their story along with several tastings. Wow! What an experience. 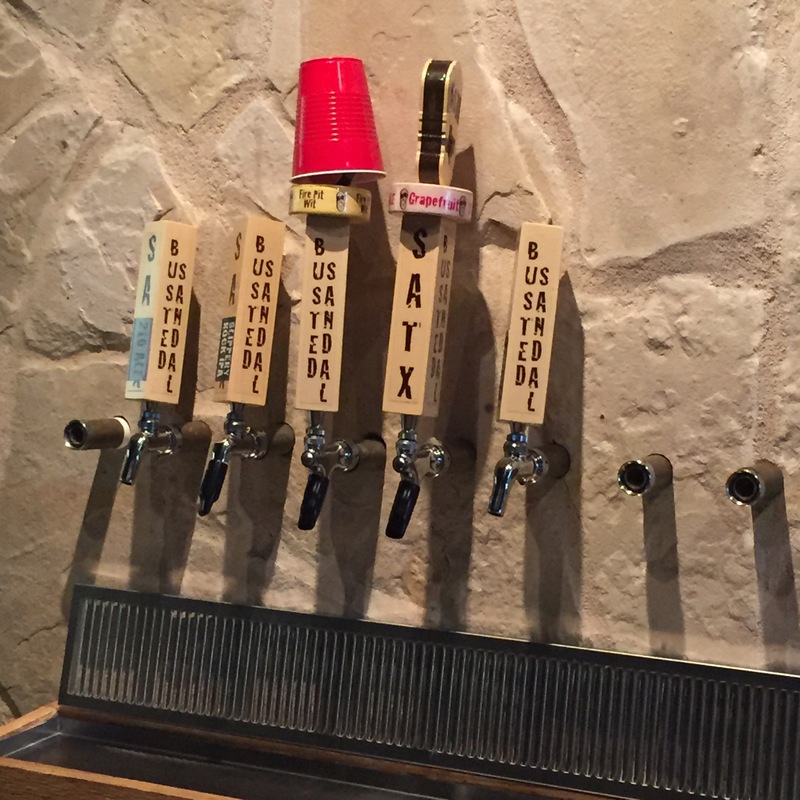 Mike is an awesome guy, and if you’re in the San Antonio area you really do need to try these beers. 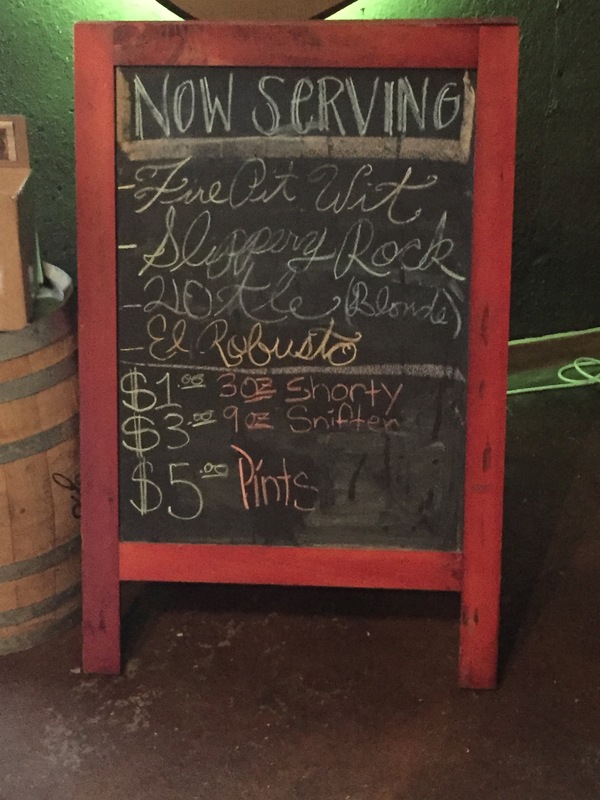 So here’s some idea of what they have on tap. The 210 Ale is a deliious and very drinkable blonde ale. This would go great in the hot weather. It is smooth and very easy to drink. The Slippery Rock IPA has got to be one of the most drinkable IPA’s I’ve ever enjoyed. It has the flavor of an IPA but is not heavy at all and is very easy to drink. 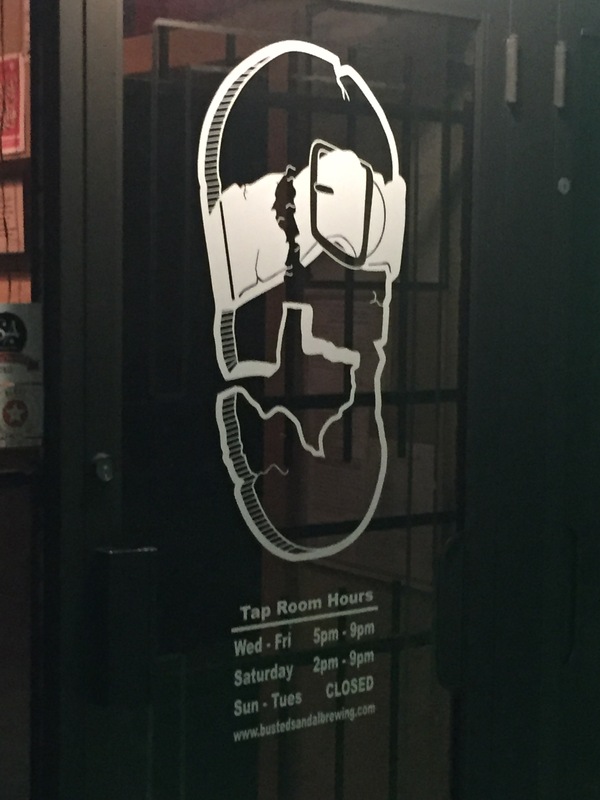 Currently they are experimenting with a Grapefruit 210 Ale which is their flagship blonde ale with grapefruit added. Personally, I love the grapefruit flavor. I could drink this all day. The El Robusto Porter is awesome. It is rich, chocolatey, and delicious. This would be a great dessert beer. So, there you have it. 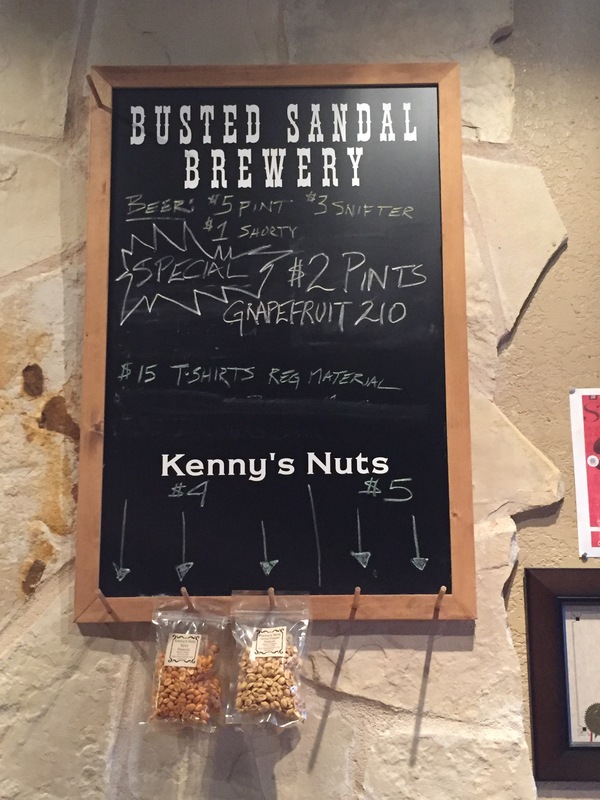 Get yourself over to Busted Sandal and try one!